If I could fly anywhere today, I might choose Battle Creek, Michigan, where the annual Cereal Festival takes place June 10 and 11, 2016. The festival celebrates the city’s heritage as the birthplace of America’s flaked cereal industry and kicks off tonight with a parade in downtown Battle Creek – the Cereal Capital of the World. Saturday morning, everyone – perhaps 70,000 people – can sit down at the world’s longest breakfast table, where hundreds of volunteers will be serving a breakfast of … cereal. 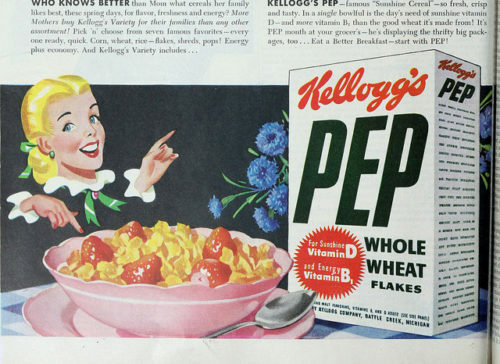 According to the U.S. Census Bureau (evidently a big fan of breakfast cereal), shredded Wheat, created around 1893 in Denver, was the first “enduring” breakfast cereal in the U.S and today 11 of the 69 breakfast cereal manufacturers in the U.S. have Michigan addresses. Battle Creek’s Kellogg’s and Post companies are the most well-known cereal makers and overall the cereal industry generates $9.8 billion of product annually. On the road and craving cereal? There’s a branch of Cereality – where dozens of hot and cold cereals are on the menu – at Dallas/Fort Worth International Airport, Terminal C, Gate 6. Hours: 5:30 a.m. till 9 p.m.